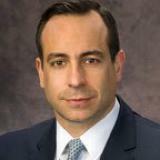 Daren is the Managing Partner of the Vorys Pittsburgh office and member of the litigation group. His practice is focused in the areas of complex litigation and online seller enforcement. Daren has extensive lead trial counsel experience in commercial, employment, intellectual property and injury matters, including class and collective actions. Daren’s online seller enforcement practice involves the implementation, both domestically and internationally, of cutting-edge enforcement systems, as well as distribution and e-commerce channel controls, designed to protect profit margins, preserve brand integrity and combat unauthorized online sellers. Check out the incredible speaker line-up to see who will be joining Daren .